A desk is a utilitarian piece of furniture where work is accomplished and as such needs to facilitate that work efficiently as possible. 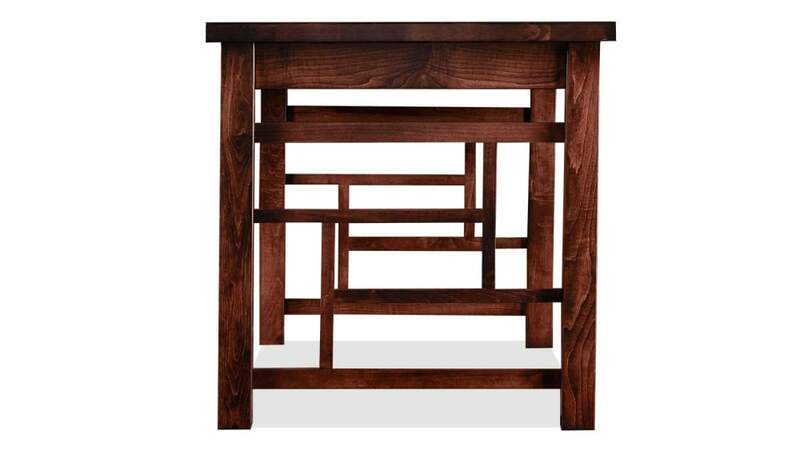 A desk though can be more than practical; it can be beautiful adding elegance, style and enduring charm to your home. 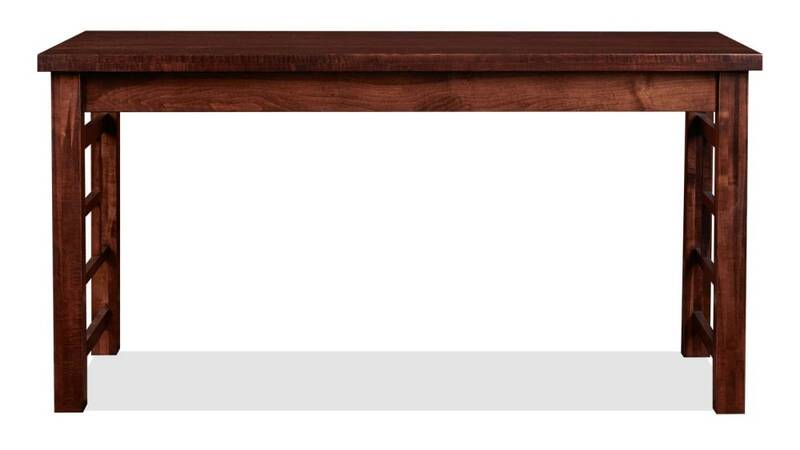 When solid wood furniture is created by American craftsmen it is not something to be shoved in a box and sold; there is something intangible imbued into the wood, from the knowing hands of the artisan taking raw lumber and transforming it into something that is as much art as it is furniture. 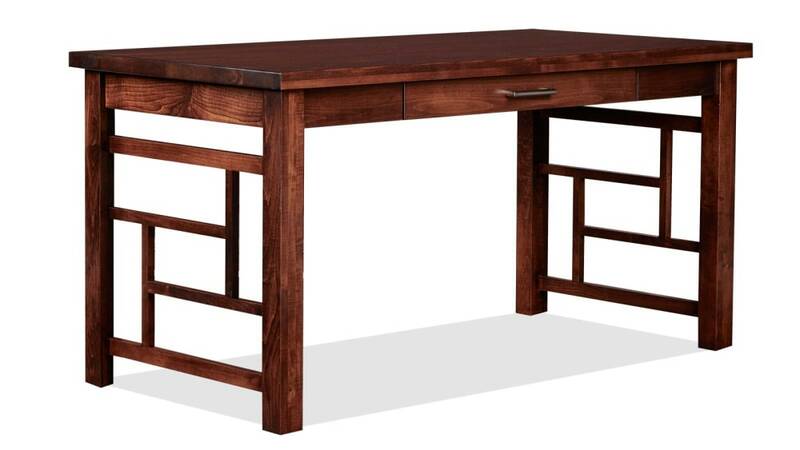 This solid maple wood writing desk is Made in America by Master American Craftsmen. This furniture is finely finished in a low V.O.C. emitting coating that allows the natural warmth of the wood to shine while protecting the wood for generations. Traditional mortise and tenon construction provides lifelong support to the rock solid frame. The Asbury stain showcases the natural beauty of the solid maple wood grain to perfection. The wood is sourced from sustainable, responsibly managed forests so that there will be trees to enjoy and forests to walk in for generations to come. One drawer on high quality full extension slides with an antiqued bronze handle. Made in America is just a catchphrase for some people. This beautiful handcrafted furniture is made right here in America, so you know you’re putting something special in your home. Become a part of a revitalized America by buying quality furniture that puts your fellow Americans to work. At Gallery Furniture, Mack believes we have a responsibility to do our part to ensure a strong America, where a better tomorrow and a brighter future lie ahead. Your New Bedroom Delivered TODAY! Nothing is more frustrating than needing new furniture and being told you have to wait. At Gallery Furniture, you get your furniture the same day you buy it, delivered by a team of professionals who will carefully bring it into your home and assemble it. Start enjoying the convenience, quality, and beauty of your American made solid wood furniture tonight.